Make your Valentine's Day one to remember by celebrating with your sweetheart, a parent, a friend, or anyone dear to your heart. 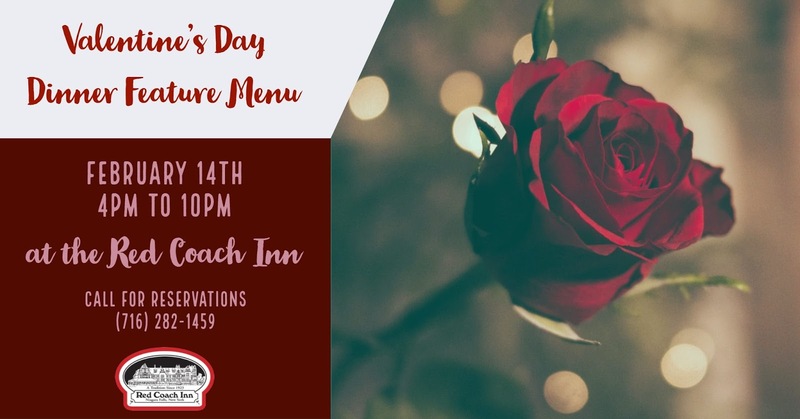 Join us at the Red Coach Inn for a special Valentine's Day dinner menu that will surely melt your hearts and fill your belly! We look forward to spending this special day with you. See you then!